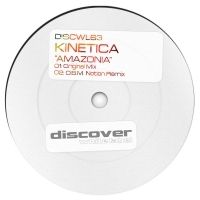 Kinetica is yet another exciting spawn coming from from the world famous Irish trance scene! Since late 2013, this new name on the scene has made the right kind of noise with his high energy, uplifting trance production sound. Born and raised in Belfast, he caught the trance virus in 1999 and like many from this special era, came from the dancefloor while learning how to mix on vinyl, then progressed into production and evolved as a DJ when the digital age hit. 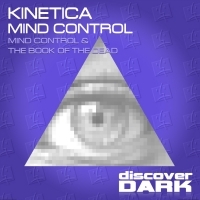 Kinetica is a new addition to the ever growing movement who are pushing the faster and more intense trance sounds they grew up with, a sound that is looping back around to a new generation of trance die hard's. 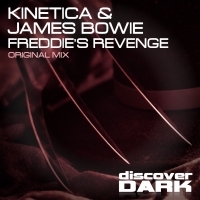 Kinetica has a raw and undeniable passion for trance music flowing through him, and 2014 is the year when this talented audio illustrator will send a shock wave of euphoria across the scene as he introduces himself on a global level for the first time. 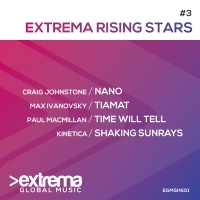 Already Kinetica has picked up track support and positive feedback from names such as Scott Bond, Aly & Fila, Dash Berlin, Signum, Simon Patterson, Jorn Van Deynhoven, Menno De Jong, Giuseppe Ottaviani, Bryan Kearney, Sniejder, Indecent Noise, Manuel Le Saux, Photographer, Arctic Moon, Jordan Suckley, Adam Ellis, Ian Standerwick, Darren Porter, Amir Hussain, Oberon, Allen Watts, Ahmed Romel, O.B.M Notion, Tangle, Johann Stone, Dreamy, Steve Morley, Estigma, Sunset, Mark Leanings, Gareth Weston, Daniel Skyver, Johan Ekman, Paul Denton, Chris Porter, SWARM and more. Kinetica launches his new podcast called ‘Future Trance City’ in summer 2014 which airs on Tenzi FM monthly with a free download on Soundcloud. Each episode is filled to the gills with non stop, high energy trance music at its optimum! Summer 2014 also marks the first releases on his own new label Liquid Energy Digital which releases 3 tracks per month from super talented names from all over the world. 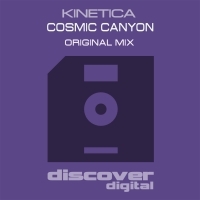 Kinetica is proving to have the sound and skills to become a fans favourite and a future powerhouse in Irish Trance Music.